The prophetic visions of Ezekiel are some of the most fascinating and vivid of all ancient texts. 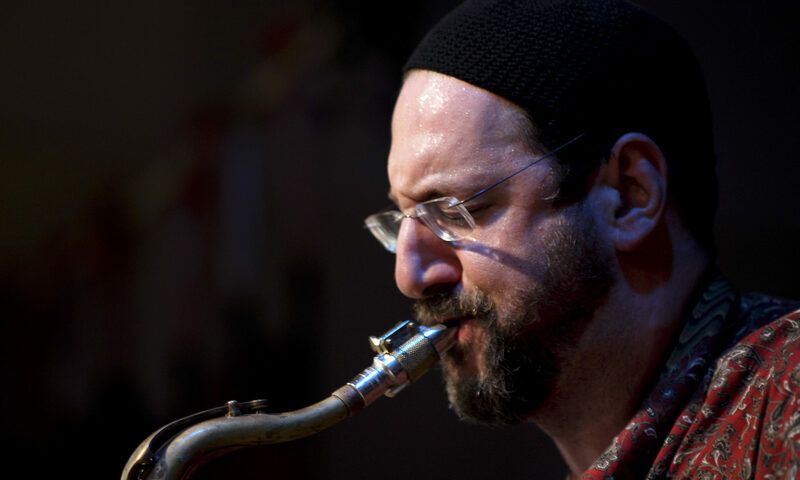 The traditional melodies used to chant them in the synagogue have been with us for ages, and serve as the inspiration for saxophonist Greg Wall’s latest trio project, Later Prophets. Featuring master percussionist and long time collaborator Aaron Alexander, and keyboards phenom Shai Bachar, the trio manages to simultaneously straddle the gates of the ancient and avant-garde, while creating a musical experience that is as timeless as the texts themselves. The Vision of the Dry Bones, the Wheel (with a chilling arrangement of the old spiritual, ” ’Zekiel Saw the Wheel”), and others are brought to life, along with the Lament of Jeremiah, and the words of Malachi, the last of the ancient Hebrew Prophets. Guitar wizard Gary Lucas drops by to pay his respects on a couple of tracks, and his voice is a clarion call from the next world.